We can help you to have fun on the water! On your own boat or ours, we can give you the confidence & skills to cruise further. The Powerboat Scheme is applicable to Sportsboats, RIBS, Dories, Launches, and other boats which do not normally provide accommodation or cooking facilities. One of the great aspects of training with us is that you can charter our training boats, so a boat you know and have confidence in at great rates! What courses do you need to take to obtain an ICC, find out here. RYA Powerboat Level 2 – New Season Offer from £245pp! Take advantage of our New Season offer, book three people for £245 per person. As an RYA Training Centre Mendez Marine offer superb quality RYA Courses at great prices but we also specialise in own boat tuition. Whatever RYA training course you choose to do with us, from a VHF course through to a Yachtmaster® course or even just some basic boating skills either on the water or shore based, you can be assured of receiving professional training in a fun and friendly environment and on high quality equipment. 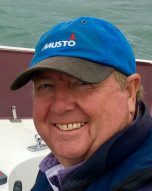 Paul first started playing with boats over 40 years ago and has maintained a keen interest to this day. 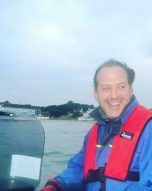 Having given up dinghy sailing several years ago, Paul can quite often be found cruising the South Coast and beyond with a big smile on his face aboard a 40ft motor cruiser. Paul joins the team as Operations Director taking on much of the day to day running of the business and business development. 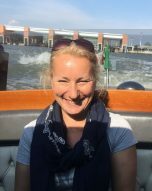 “I love being on the water or below, as a boat owner and diver I think I have now, at last, found the job of my dreams”. Julie, also known as Power Skipper, is one of the best. 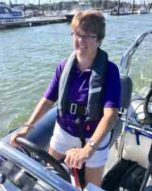 Having great instructor skills and boat handling that puts many boys to shame, Julie loves family groups and getting the nervous to use their boats. Fran’s knowledge and being based in the office means she is often the first voice you speak to when you call us. 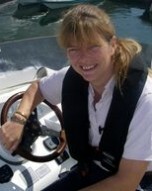 Elisabeth is a keen sailor and a great Powerboat Instructor. Elisabeth’s courses are always filled with lots of learning and fun. One day she hopes to sail off round the world. Teaching afloat for Mendez Marine helps keep her out of mischief for the time being. 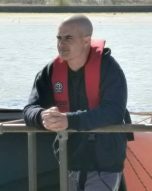 David, had been around boats for a long time and has much experience to impart, a Yachtmaster Instructor, Advanced Powerboat Instructor and VHF Instructor / Assessor. David is also a keen photographer and in his spare time can be seen photographing pretty much anything that moves around the Solent. 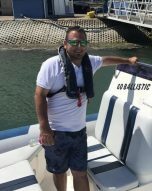 Noel has been around boats for years and just loves being afloat, An Advanced Powerboat and Yachtmaster Instructor, for Noel seeing the smile on your face as you learn is perfect. When Vanessa is out of the office you can generally find her on a horse, or more recently practicing her new found Powerboat manoeuvring skills. 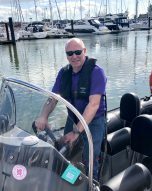 The best part of being a powerboat instructor is helping people to develop their skill, knowledge and confidence, whether they are totally new to boating or have previous experience. I am also an adult volunteer with a local Sea Cadet unit and a BSAC Scuba diving club.